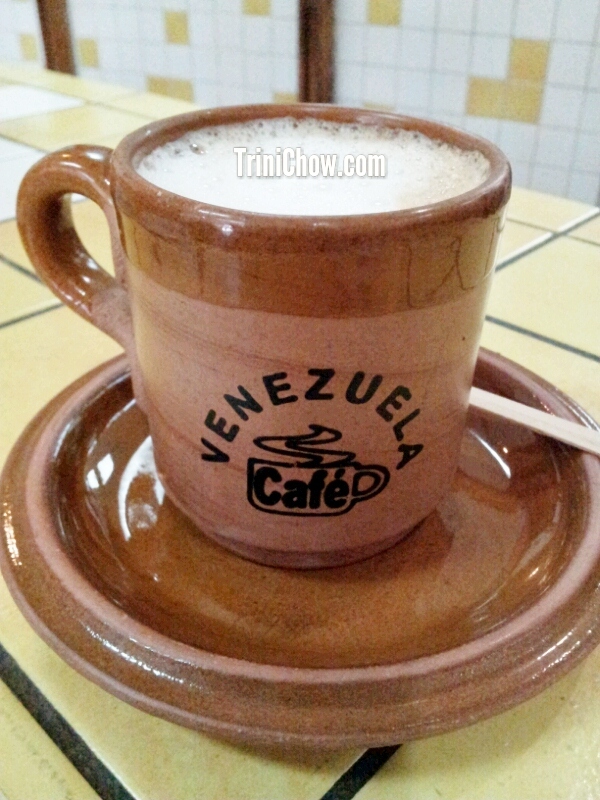 More good choices for coffee in the East, South and throughout Trinidad are HERE. 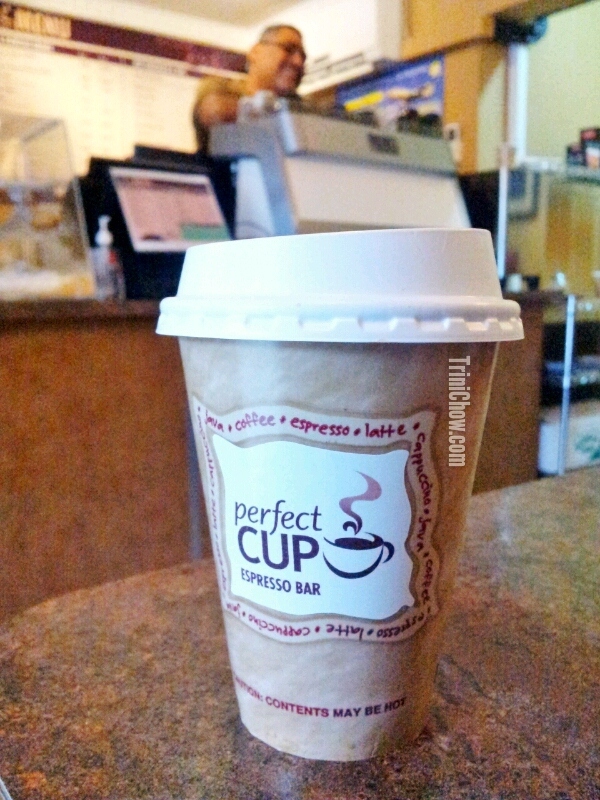 PERFECT CUP ESPRESSO BAR (Woodbrook, Trinidad): We’re kicking off this list with PERFECT CUP because it not only serves wickedly good coffee, it’s a true coffee house with a friendly vibe. This snug shop has a few tables and also serves pastries, muffins and cookies, but it’s more of an in-an-out-spot. With an awesome Dalla Corte PRO espresso machine, it’s no surprise that at least one of PERFECT CUP’s owners have been through formal barista training. HOURS: Monday-Friday, 7:30am-4pm. 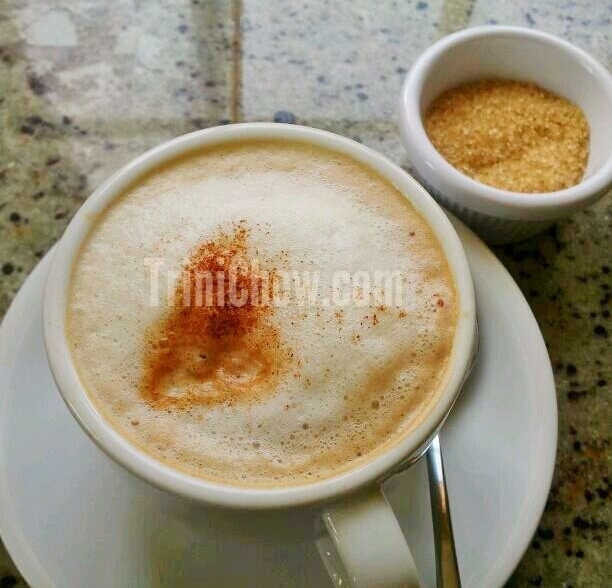 TARYN’S THE PANYOL PLACE (St. James, Trinidad): More restaurant than coffee spot, we’re totally smitten with TARYN’S café con leche, a perfectly balanced concoction of strong espresso and steamed milk. TARYN’S offers up sweet and savoury treats (cheese empanadas please!) that match up well with the coffee. TARYN’S is brewing Lavazza, but Cafe Bustelo, Cafe Madrid (Venezuela), Cafanca’s Anzoátegui (Venezuela), Cubita and other Latin American brands are for sale by the bag. HOURS: Monday – Friday, 7am-5pm and Saturday, 8am-3pm. 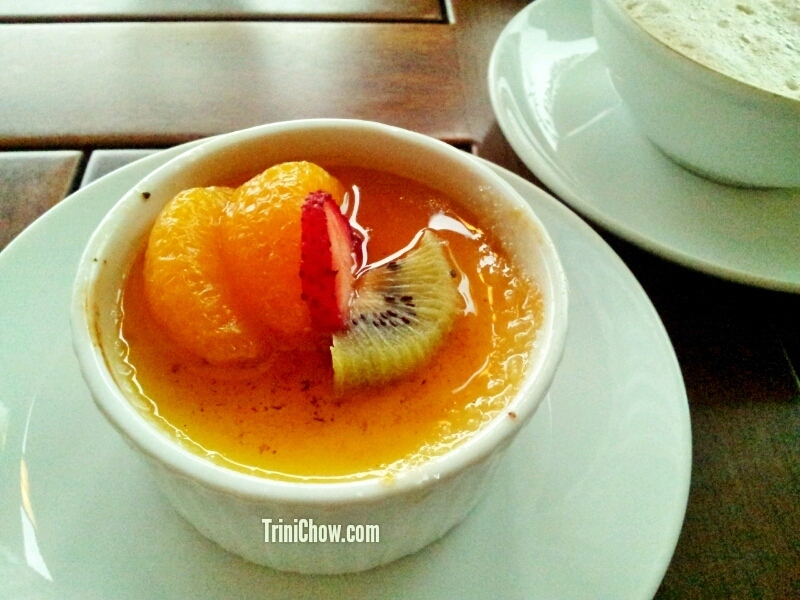 PECHE PATISSERIE (Port of Spain, Trinidad): For us, PECHE is almost a second home. Some folks have their preferred rum shop or bar, while PECHE is our go-to-spot when we want to linger over a cappuccino (the coffee served here is Lavazza). 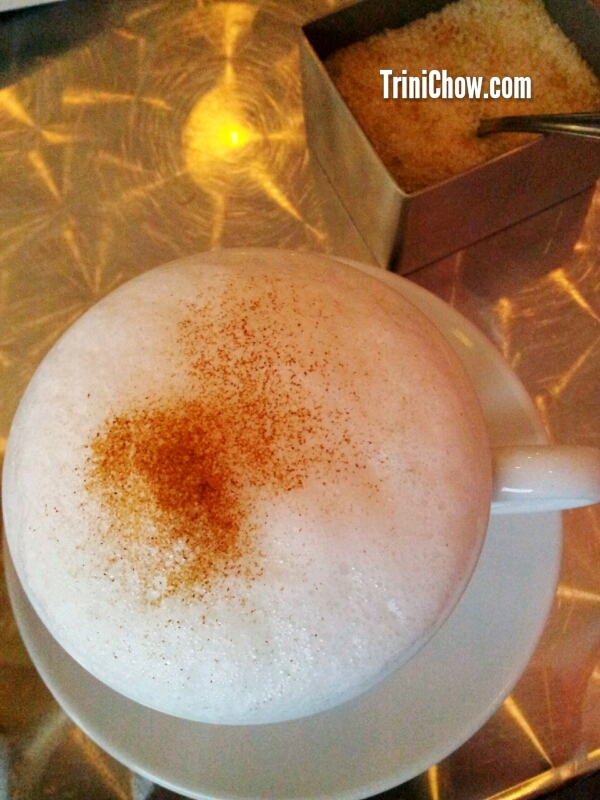 The kicker is that PECHE has superb breakfast options, pastries and desserts to enjoy with the coffee. Also, you can sip, nibble, and surf the Internet to your heart’s content with the free WiFI here! HOURS: Tuesday-Friday, 6:30am-3:30pm; Saturday & Sunday, 8:30am-3pm. CAFFE DEL MARE (Chaguaramas, Trinidad): Carefully time your CAFFE DEL MARE visit for a 6pm arrival time and you’ll be rewarded with coffee and a lovely sunset over the water’s edge. Don’t miss the desserts and pastries; we’re partial to the Ponche de Creme Brulee and the cinnamon rolls. Hausbrandt is the coffee served here and you can purchase it by the bag to take home. HOURS: Sunday-Thursday, 8am-8pm; Friday & Saturday, 8am-9pm. MARIA’S BAKERY (Woodbrook, Trinidad): Make time to sit and have coffee at MARIA’S and soak up the glamorous atmosphere and local art from Sarah Beckett. As a full-fledged bakery, you can choose from a wide range of pastries and desserts to pair with your coffee drinks. MARIA’S also has free Wi-Fi. HOURS: Monday-Friday, 7am-6pm; Saturday, 8am-2pm. NOTE: Looking to make great coffee at home? LOTUS WARES carries one of our favourite coffees, Jim’s Organic Coffee, a fair trade organic coffee. PETIT GOURMET, a gourmet grocery, carries international coffee brands like Starbucks, Cafe Britt, Dunkin Donuts, Jablum and Cafe Bustelo. They also sell a wide selection of gourmet coffee beans including an Ethiopian Yirgacheffe and an absolutely delightful Peru High Grown coffee; you can also grab a great cup of freshly-brewed coffee (and pastries) here. More of a TEA drinker? Check our list of places to enjoy TEA SERVICE in Trinidad. Like what you see? Join us on Facebook to keep up with all the food and restaurant news in Trinidad & Tobago! Hi all, I think the prices of imported coffees (Lavazza, Illy, etc) are fair, considering the 40% duty levied on coffee imports. Came across a local roaster recently – Roasted Elements. Their fresh roasts are amazing. Look them up. Hi Norma, sorry we don’t know how much Folgers costs. Great … thanks for the info! Hi can anyone tell me where I can buy good espresso coffee in the supermarket or specialty store. I found Lavazza but it was ridiculously priced. There has to be some better options out there…. thanks in advance. Hi Ravi, not sure what the price of the Lavazza was but we like to get our coffee from Petit Gourmet in St. Clair because they carry a wide range of high quality coffee beans and ground coffee. We also buy Illy coffee by the can (beans or ground) from Fernandes Wines in West Mall and Trinidad Country Club locations and Hausbrandt coffee (ground only) from Caffe del Mare in Chauguaramas.